Aquatic Facilities serve communities, private clubs, and municipalities by offering amenities for both exercise and recreation. The diverse needs of the community will drive the design intent of each facility, whether that is for flexible uses such as swim lessons and water aerobics or established needs such as competition swim meets. More and more, aquatic facilities have evolved to suit all members of the community both with pools for programmed use and pools for leisure and free play. Before offering any design plans or ideas, our creative team at ADE determines the needs of the community by considering demographics, staffing availabilities, and programming ambitions. Using these as our guide, our design studio drafts conceptual plans that make best use of the available space at the project site. By designating distinct zones of activity, such as children/active, adult/relaxing, and group/classes, we are able to separate pools or combine systems with different features: spraying play elements and slides go at one end, while in-water loungers are at the opposite end. 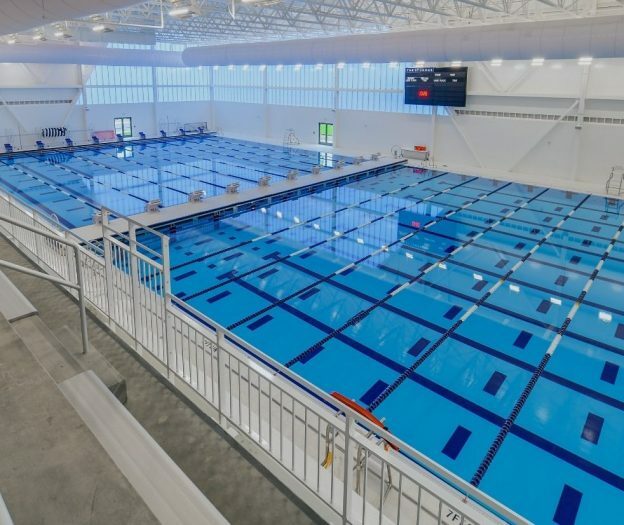 If the demand is there to host swim competitions, the aquatic facility should consider its own lap lane pool with the option for spectator stands or starting blocks. All of these factors play into the design decisions that ADE brings to its development partners. Drafting the engineering documents for one site with multiple bodies of water can be as complicated as any water park, with the addition of slides, heated therapy pools, and even lazy rivers. By having an “owner’s engineer” like ADE to protect the interests of its clients, owners will have the assurance that their aquatic facility will be engineered for the long-term. All equipment is specified on the drawings with sustainability principles in mind, keeping ongoing maintenance costs low and preserving resources. We believe the operational cost concerns should always be factored into upfront engineering decisions. Whether indoor or outdoor, building the support structures for an aquatic facility represents more than a simple swimming pool. All the filtration, pumps, UV sterilizers, and collection tanks for multiple bodies of water must be housed and piped to separate areas across the site. ADE performs routine site observations to oversee the build-outs of each aquatic body at critical phases of construction. 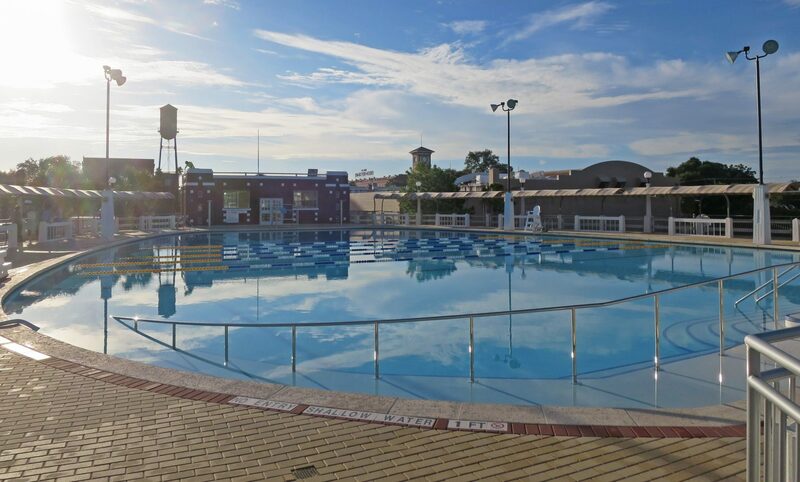 Our experts are well versed in health and pool codes across the country, adhering to the strictest standards to ensure safe operation of your aquatic facility. Whatever programmatic elements an aquatic facility offers to its guests or members—from swim lessons and swim competitions to water aerobics and water therapy—owners can be guaranteed that they are satisfying a need. By adding in the fun, playful elements of a family pool such as slides and interactive water features, every member of the community will feel right at home. Let us help you design the perfect fit for your aquatic facilities vision.